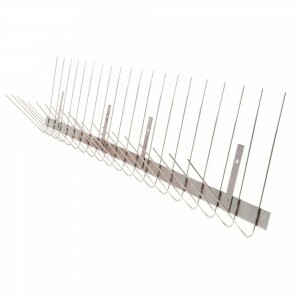 These are strips of long, needle-like rods used for bird control. 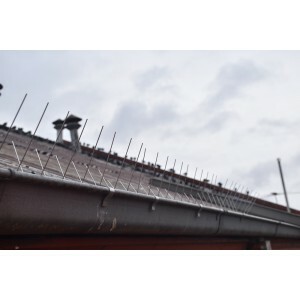 They can be attached to building ledges, pipes, window sills, beams, street lighting, and commercial signage to prevent birds from perching or roosting. 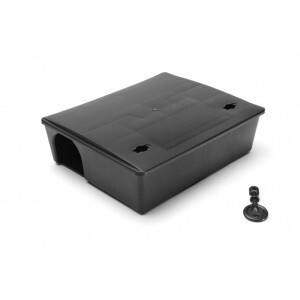 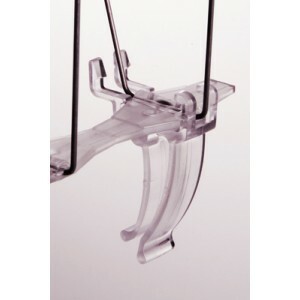 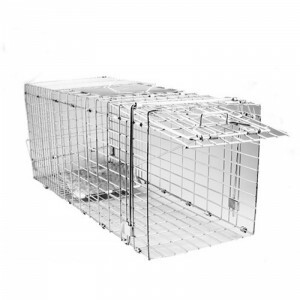 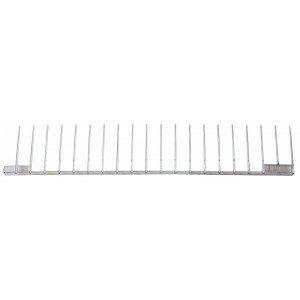 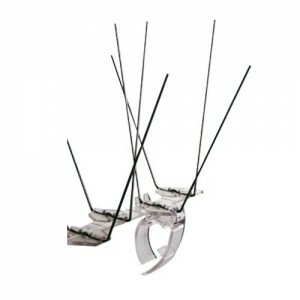 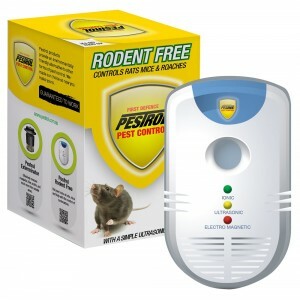 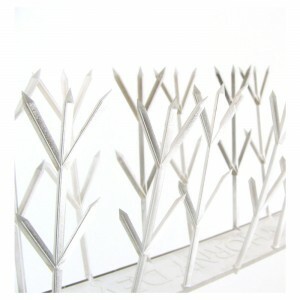 They are available in stainless steel and polycarbonate as well as a variety of sizes. 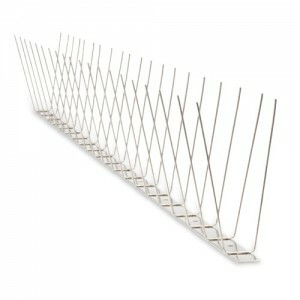 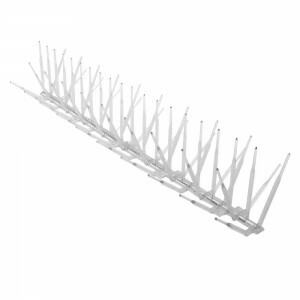 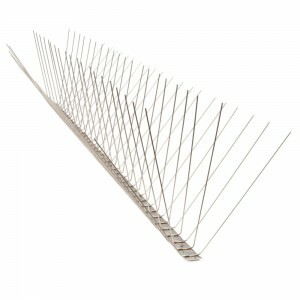 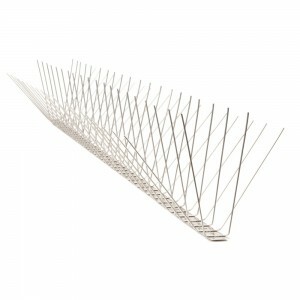 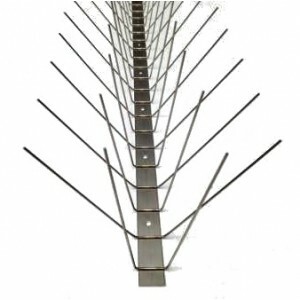 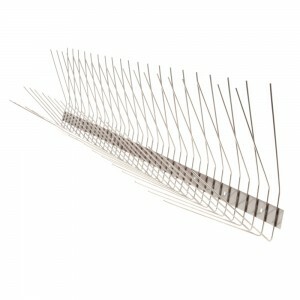 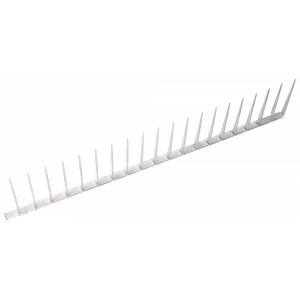 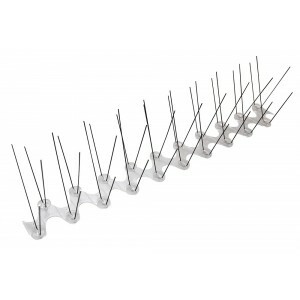 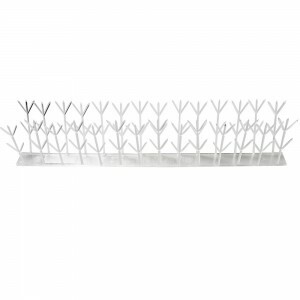 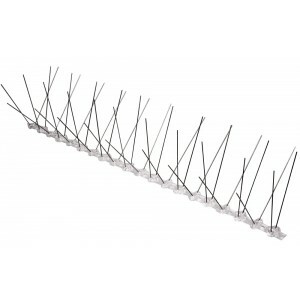 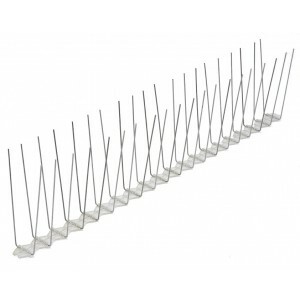 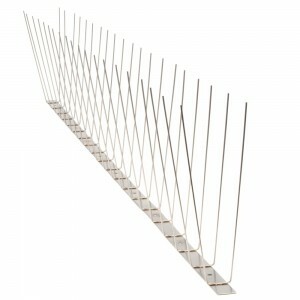 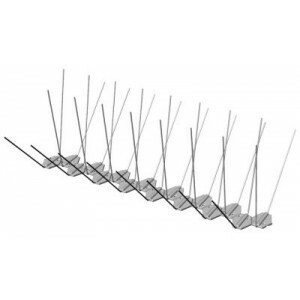 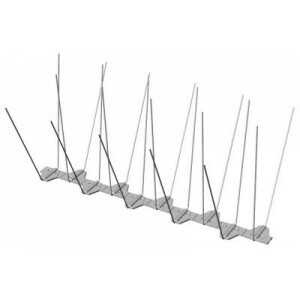 Bird spikes are an affordable, long term method of bird management. 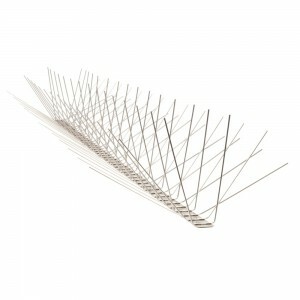 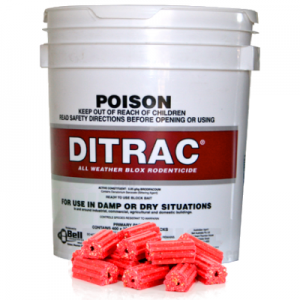 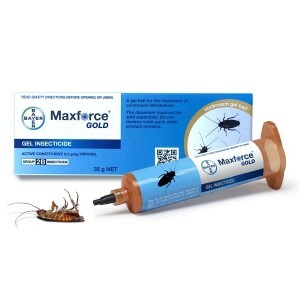 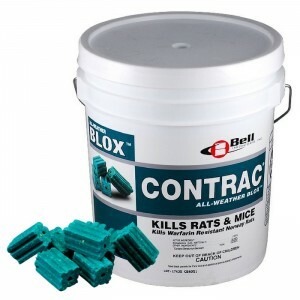 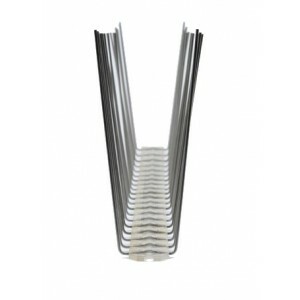 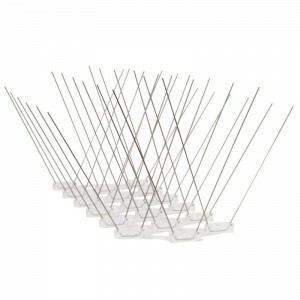 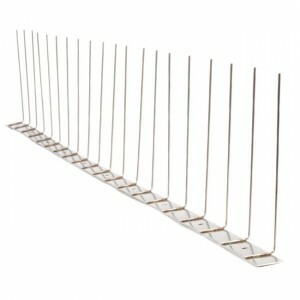 Installation is easy and the spikes last for years keeping pest birds at bay. 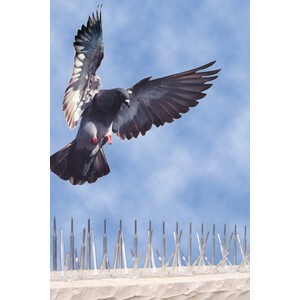 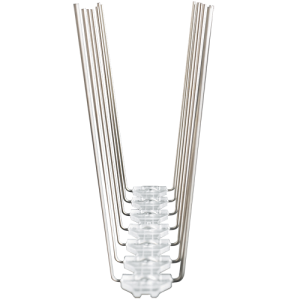 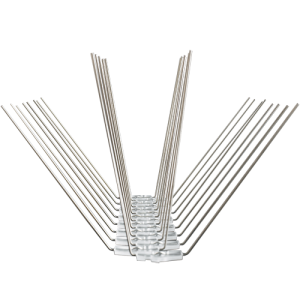 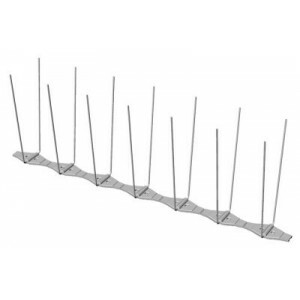 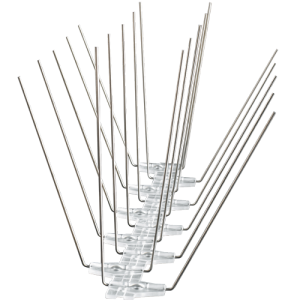 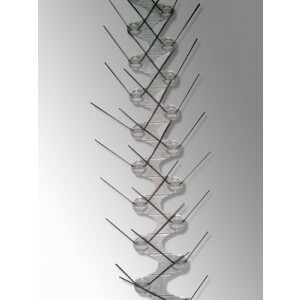 These bird spikes are particularly effective against urban pest birds such as pigeons, starlings, sparrows, swallows, indian mynas.